Sharon Bloyd-Peshkin is an ACA Level 5 Advanced Open Water sea kayak instructor, ACA Level 3 whitewater kayak instructor, UKCC Coach 2, and British Canoeing 5 star trainee in sea kayaking and 4 star trainee in open canoeing. She is also co-owner with Alec Bloyd-Peshkin of Have Kayaks, Will Travel paddlesport coaching in Chicago, and a board member of Paddlesports North America. She has also been a guest coach for several years at Body Boat Blade on Orcas Island in Washington State, Atlantic Kayak Tours in upstate New York, and the Ontario Sea Kayak Centre in Canada, as well as on coaching trips in Rhode Island, Georgia and Ireland for The Power of Water. 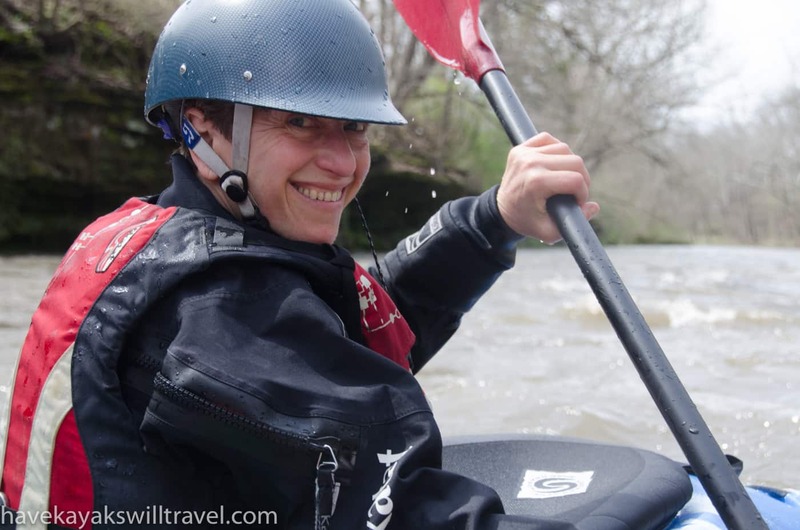 Shee loves paddling and coaching in sea kayaks, whitewater kayaks and canoes, as well as writing about paddling for Sea Kayaker, Adventure Kayak, Ocean Paddler and other magazines. Sharon is passionate about coaching, particularly when she can help someone overcome an obstacle–whether it’s physical or psychological–and fall in love with paddlesports. As a small woman, she emphasizes technique over power, and encourages even bigger, brawnier paddlers to do the same so they can avoid injury and paddle well into their 90s, like her dad. She loves everything about paddling, from navigation and rescues to trips long and short in flat or bumpy conditions. And she loves coaching all these things, too. The Great Lakes Sea Kayak Symposium changed my life by giving me an awesome son-in-law. In 2010, our daughter, Hannah, met Josh Tatro at the GLSKS, and the two decided to enter the wacky race together. On a SUP. Tandem. They lost the race but won each other’s hearts. There was no shortage of matchmaking effort from GLSKS coaches, particularly Kelly Blades, demonstrating the versatility of effecting coaching techniques. So when someone tells you that this symposium makes them feel like family, that’s because sometimes it actually is!